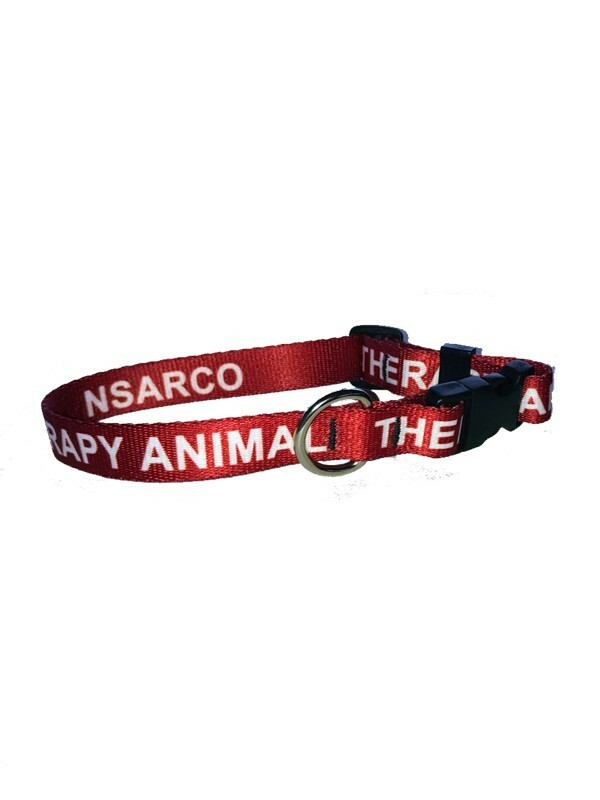 The durable NSAR adjustable Therapy Animal Collar will help quickly identify your animal as a Therapy Animal, and help legitimize your animal when bring comfort and joy to people in schools, hospitals, nursing homes, etc. The bright colors and large print allow the collar to be visible up to 30 feet away! Collars are durable sublimated polyester webbing. Durable plastic side release buckles and slides.